David Erwin has enjoyed a lifetime of design in a number of capacities, including decorating sets for the film industry. 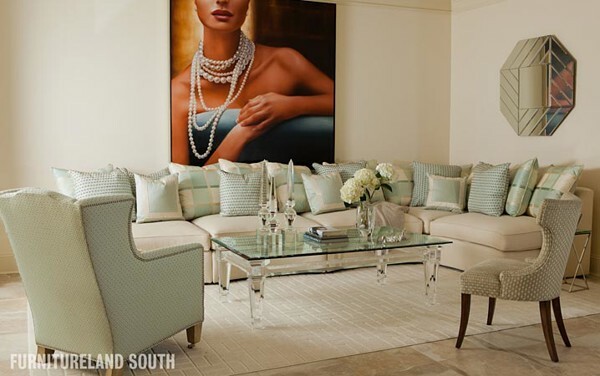 He has been a Design Consultant with Furnitureland South since 2003, and enjoys a long list of successful projects with many dear clients. Ready to receive free design assistance from David? What's the Design Center? I found exactly what I needed with David Erwin's excellent assistance! David was a pleasure to work with, making the whole process very easy for me. Thank you for your help, David! - Alice C.
We had a great experience! David Erwin took great time and consideration when assisting my husband and I in selecting furniture. We are very pleased with the customer service we received from David and his professionalism. - Jill B. We had a great experience working with David Erwin! - Jay W.